We Love Soaps: 'Nashville' Season 5 Trailer Released, Will Now Premiere on December 15! 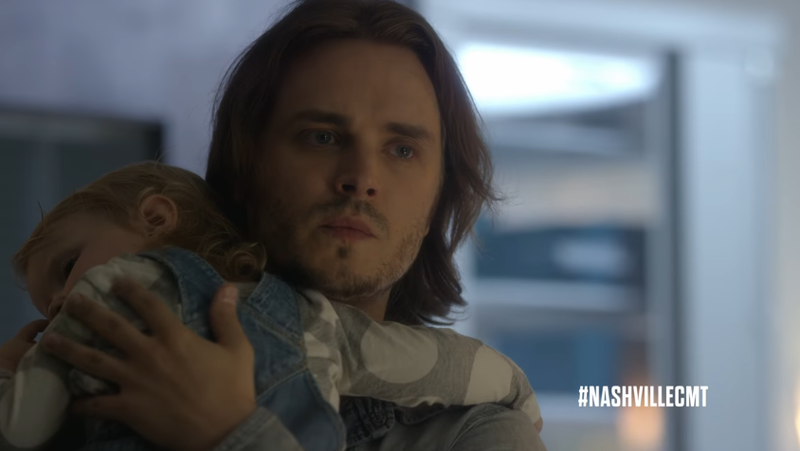 'Nashville' Season 5 Trailer Released, Will Now Premiere on December 15! Nashies, set your DVRs now! As an early holiday gift for the fans, CMT today announced plans to sneak the first hour of the two-hour season premiere of Nashville on Thursday, December 15 at 9 p.m. ET/PT. Additionally, CMT just dropped the trailer for the new season. Produced by Lionsgate, ABC Studios and Opry Entertainment, the two-hour season premiere of Nashville will debut on Thursday, January 5 at 9 p.m. ET/PT. Nashville is set against the backdrop of the city's music scene and follows Rayna Jaymes and Juliette Barnes. Both women face personal and professional challenges as they navigate their paths as artists and individuals. Surrounding them and often complicating their lives are their family, friends and, in some cases, lovers, as well as the up-and-coming performers and songwriters trying to get ahead in the business. Music City can mean so many things to different people. In "Nashville," musicians and songwriters are at the heart of the storm driven by their own ambitions. Some are fueled by their creativity and passion for fame. Others struggle to cope with the pressures of success and are doing everything in their power to stay on top. Nashville stars Connie Britton as Rayna Jaymes, Hayden Panettiere as Juliette Barnes, Clare Bowen as Scarlett O'Connor, Chris Carmack as Will Lexington, Charles Esten as Deacon Claybourne, Jonathan Jackson as Avery Barkley, Sam Palladio as Gunnar Scott, Maisy Stella as Daphne Conrad and Lennon Stella as Maddie Conrad. In addition, the upcoming season will feature Joseph David-Jones as Clay, Rhiannon Giddens as Hallie Jordan, Jen Richards as Allyson Del Lago, and Cameron Scoggins as Zach Welles in recurring roles.